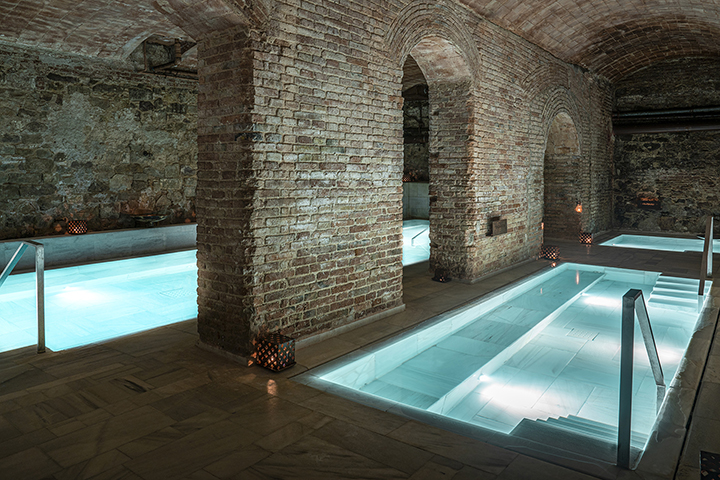 Lose yourself in a journey of sensations, by candlelight and in a historic building, that consists of a tour at your own pace through thermal baths. Live a unique experience of total relaxation for the body and the mind through the pleasures of water in a magical atmosphere. The beneficial effects of baths with temperature contrasts were widely known by our Greek, Roman, and Arabic ancestors. The hot water relaxes the muscles and joint tension while the cold water reactivates blood circulation, tones the skin, and has a reinvigorating effect. Your body is wise and will know when to tell you to get out of the water and move from one bath to another at a different temperature. 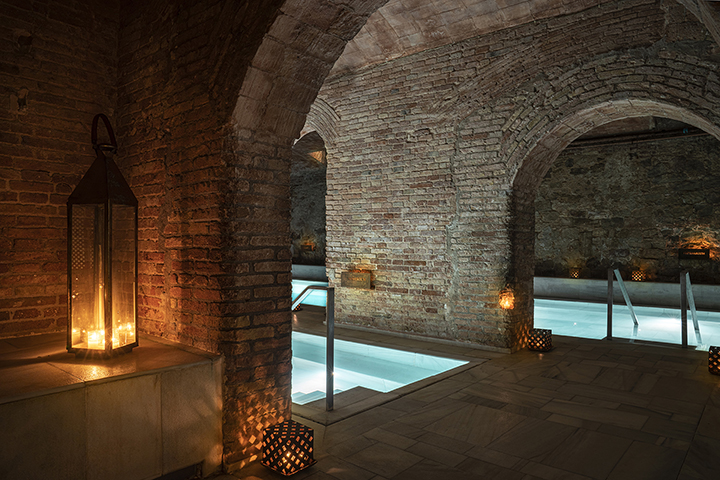 Remember that at any time you can access the relaxation room where cold water and our special selection of AIRE Tea to keep you hydrated are always at your disposal.